People ask me all the time what I like to cook when a discussion of culinary school comes up. I always say savory dishes as I hate to bake. And as I have continued to say this, I realize that I don’t hate to bake, just get frustrated over how much time it takes. 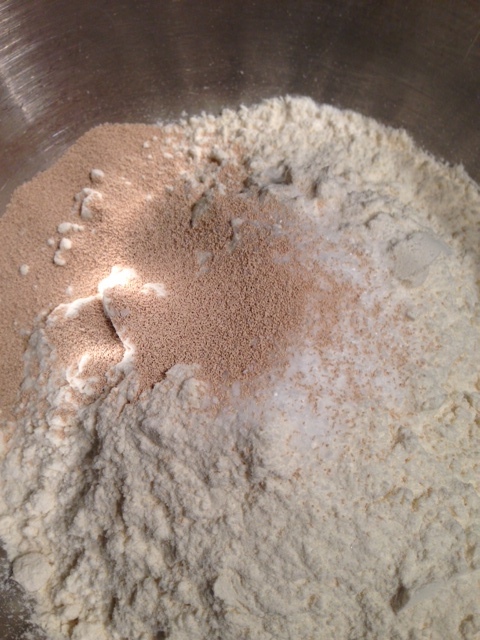 Then it occurred to me that I need to work on my patience and so ……..I am baking. Today is bread. I found a super simple (we shall see) recipe on Pinterest of an overnight rise bread that is now sitting in my oven gently rising until tomorrow morning when we will complete this. For now I have pictures of the process and the ingredients and will post the recipe at the end of the post when I see if it works. 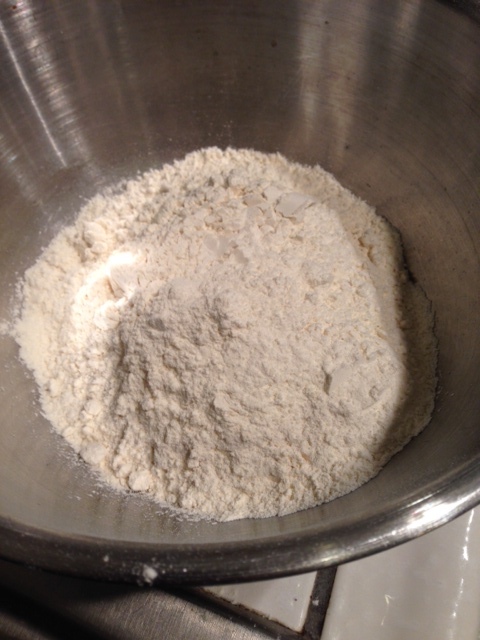 So this is three cups of unbleached all purpose flour in a large bowl. It ends up looking like this. 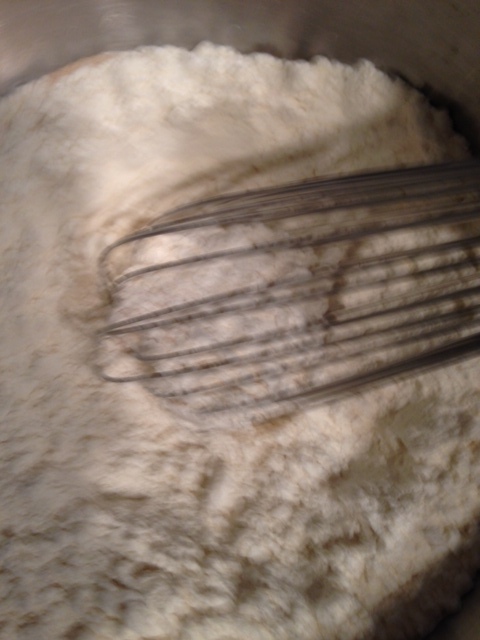 I used a spatula to mix it and then arranged it at the bottom of the bowl, covered it with saran wrap and put it in the over to rise for 12 -18 hours. So long about 7 or 8 AM I will have it proofed and ready to go. So I am publishing this and part two will be tomorrow when I hope to have a fragrant and delicious loaf of bread to show off. 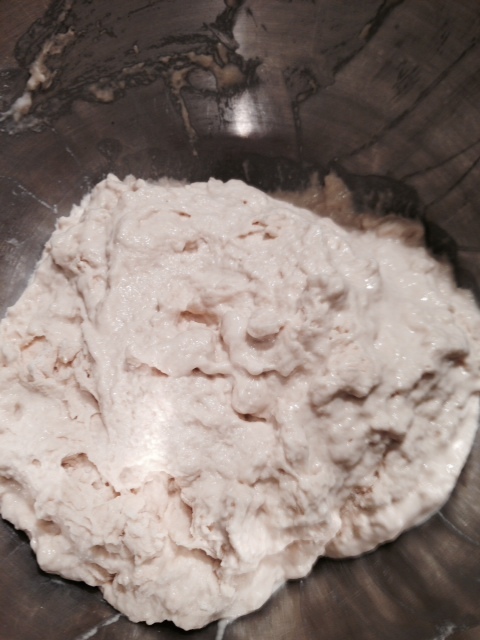 This entry was posted in Uncategorized and tagged bread, easy, overnight by hollyhartpatz. Bookmark the permalink.